Nine green volcanic islands in the mid-Atlantic characterised by dramatic landscapes, verdant pastures and hedgerows of blue hydrangeas. Blue lakes, volcanic caverns, bubbling mud pots, sprawling sunrises and waterfalls cascading deep into ravines complete the scenery. 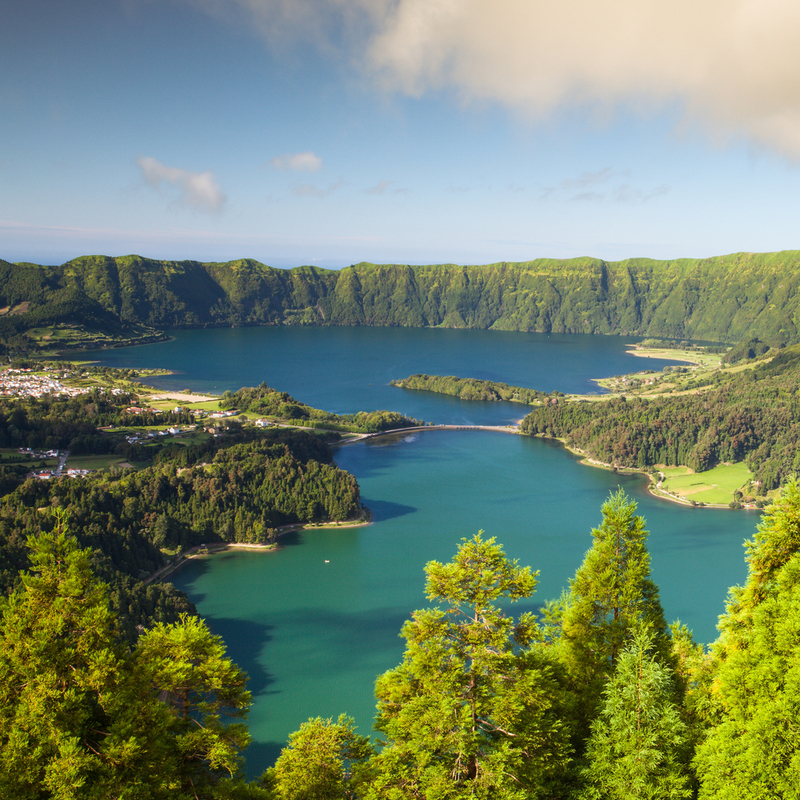 UNESCO designated the Azores Islands a Biosphere Reserve in 2009 for their impeccable preservation. Popular outdoor activities include hiking, whale-watching, blue marlin fishing, surfing and diving. 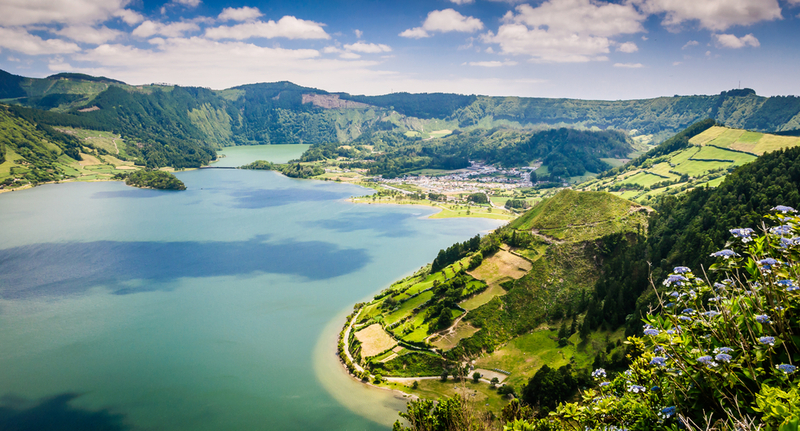 Lagoa das Sete Cidades and Mount Pico are beautiful popular sightseeing spots. 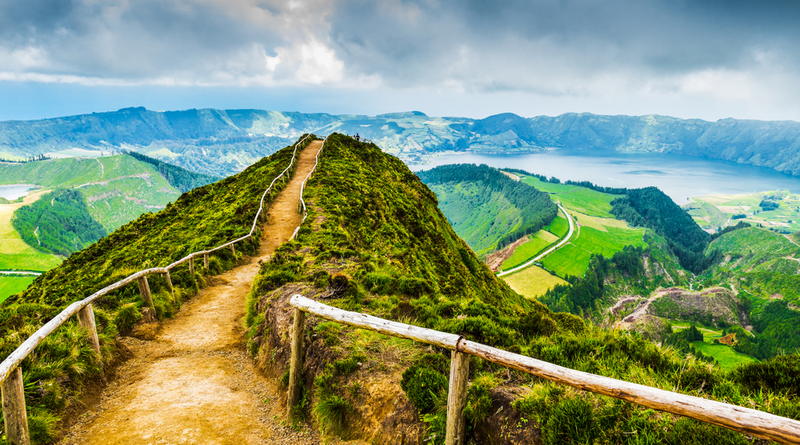 Whether you are a lover of quiet walks or an adrenalin junkie, the Azores have more than 60 hiking trails with all the conditions for walking safely. Venture out and discover unique landscapes between paths totally wrapped in Nature. The trails of the Azores are a network of footpaths classified by the Regional Government of the Azores to ensure the safety and tranquillity of the walkers. Divided into three levels of difficulty – easy, medium and hard – the network is suitable for various ages and levels of fitness.